This guide is written for the desktop support team of my company. We come from an on-premise infrastructure frame of mind with Exchange/AD etc. Now we have a Hybrid setup with Office 365 with some mailboxes on-premise still and some mailboxes in the cloud. Administering Office 365 Exchange Online mailboxes and users are slightly different to on-premises. This guide will explain some popular administration scenarios. If not included in this guide, it would be safe to assume that you administer things the same as normal. Remember, with a Hybrid, there is Directory Synchronization turned on, which is a one way sync of all objects from the on-prem Active Directory to the Office 365 Active Directory. You will need to connect to Exchange Online using the EMC for many purposes, one of which is to check for new mailboxes that you have just setup by enabling remote mailboxes using on-premise Exchange. Right click the top level in the tree and choose the option to Add Exchange Forest. Give a meaningful description for your eyes only, then choose Exchange Online > click OK. Setting up the connection to Exchange Online using PowerShell is slightly different. Microsoft .NET Framework 4.5 and Windows Management Framework 3.0 must be installed on the computer used for the PowerShell connection. Windows PowerShell script execution must be enabled on the computer you use to connect to Exchange Online. To enable script execution for signed scripts, run the following command in an elevated Windows PowerShell window. 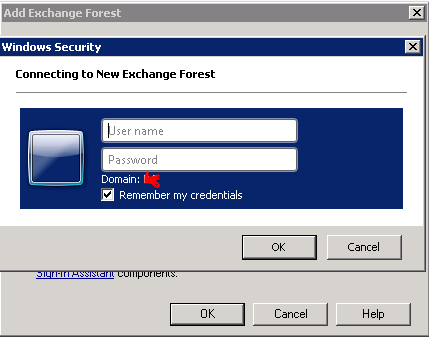 In the Windows PowerShell Credential Request dialog box, type the user name and password of an account in your Exchange Online organization, and then click OK.
Be sure to disconnect the remote PowerShell session when you’re finished. If you close the Windows PowerShell window without disconnecting the session, you could use up all the remote PowerShell sessions available to you. You’re allowed to have up to three concurrent remote PowerShell sessions. If you use all the sessions available to you, you’ll need to wait for the sessions to expire. After you’re finished with your remote Shell session, use the following command to disconnect from Exchange Online. Setting up a new cloud mailbox involves first setting up a user in Active Directory, then mail enabling the user. 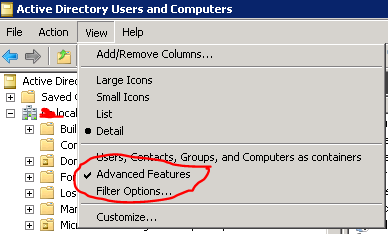 Either setup a new user from scratch using the on-prem Active Directory, or simply copy an existing user account. You do this using the Active Directory Users & Computers management console as normal. If you created a brand new user without copying, go to step 5. If you copied the user account, select the properties of the new copied user, then click on the Attribute Editor tab. Find the attribute msExchHomeServerName, then clear this value > click OK.
Make sure that this user has an Office 365 license, contact your IT administrator so that a license can be allocated. Wait until Directory Synchronization completes, normally this runs every 3 hours by default, unless your IT administrator has sped this up. Once Directory Synchronization has completed, you will see this new mailbox appear in Exchange Online. To check to see if the new mailbox has been created online, connect to Exchange Online following the steps above. 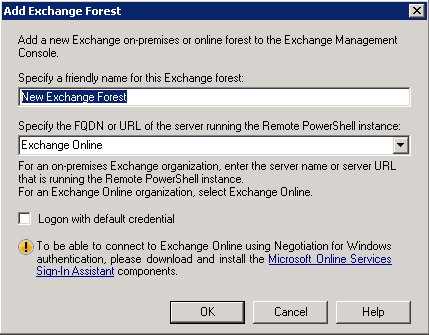 Using the Exchange Management Console, have a look under Recipient Configuration > Mailbox. Make sure you refresh this view to get the latest listing of remote mailboxes. You should be able to see the new mailbox. 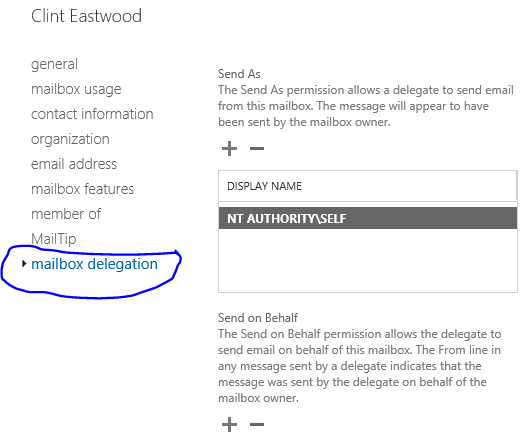 You can do this from the Exchange Control Panel from Exchange Online – https://outlook.office365.com/ecp Logon as your tenant account, and select recipients on the left. Under mailbox delegation, you can add users that you want to have Full Access. Once you do this, this will automatically map to the users Outlook in which you granted access to. There is no need to manually adding the additional mailbox to Outlook. Once the mailbox is automatically added to Outlook, it will be cached locally similar to the users’ primary mailbox. This is done using the Exchange Online Control Panel. Logon to https://outlook.office365.com/ecp with your Exchange Online (Office 365) credentials. Changing the UPN of a cloud based mailbox is normally done using the on-premise EMC > Recipient Configuration > Mail Contact > select the properties of the Remote User Mailbox, you change the UPN (shown below). The User Name field represents the UPN of the user, this sometimes doesn’t change the displays the previous UPN. To fix this, you need to connect to Exchange Online using PowerShell (see above steps). Run the following two commands, setting the UPN of the user to the default tenant domain, then the same PowerShell command to change the UPN of the user to what it should be. Sometimes waiting for the default 3 hour window of Directory Synchronization can’t be done. Kicking off a manual sync is very easy. Type in Start-OnlineCoexistenceSync and hit enter. You can monitor the progress by opening up the Directory Synchronization program "C:\Program Files\Microsoft Online Directory Sync\SYNCBUS\Synchronization Service\UIShell\miisclient.exe"
You can see the history of Directory Synchronization. Granting calendar permissions is the same as granting access to any other mailbox folder, as a mailbox calendar is more or less a folder. You will need to find the PrimarySmtpAddress of the users’ calendar that you want to work with. Connect to Exchange Online PowerShell as above, then run the following command for the user that is in the cloud. Find the PrimarySmtpAddress of the user in the list. To add calendar permissions, run the following cmdlet. This will make Ed an owner of Fred’s calendar. There are a number of different permissions you can grant to a mailbox folder such as a calendar. See below.